When you want a whole house water filtration system call us. 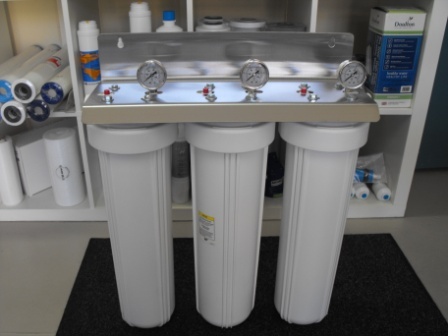 we install and repair water filtration systems. Water filtration products provide you and your family with cleaner, clearer, better tasting water throughout your entire home every day. With the most comprehensive product line from under sink filters for the kitchen and bath or softeners and filters for the entire home, filtration systems are perfect for any size home. Whole Home Specialty Treatment Systems are designed to get right to the problem and make your water clean, clear and welcome in your home again. Our systems are carefully designed to eliminate the most common, challenging issues: cloudy water, rust or blue-green straining and rotten egg smell. They solve your specific water challenges without putting a major burden on your time or your budget. Depending on the water quality in your home, one or more systems may be necessary to return your water to a pristine state. Ask your M.A.C. Stewart Plumbing for a free, thorough analysis of your water to see which answer will be best for you.